What to look for when buying a used Dodge Journey? The Dodge Journey was introduced in model year 2009 as a midsize crossover sport utility. The Journey is powered by either a four- or six-cylinder engine and seats up to seven passengers, depending on interior options. It shares some components with the Dodge Avenger and Chrysler 200 and replaced the Chrysler Pacifica and Dodge Magnum. The Journey received a facelift in 2011. 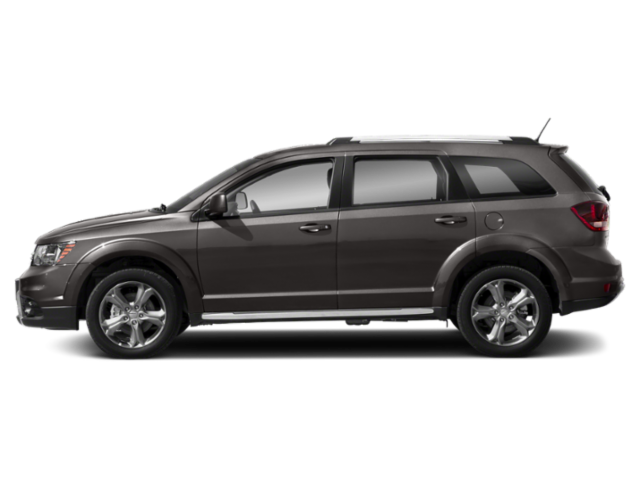 Engines in the Dodge Journey include a 2.4-liter four-cylinder and a 3.5-liter V6 (replaced in 2011 with a 3.6L V6). These engines are common in the Chrysler-Dodge-Jeep brands and have a reputation for reliability. The V6 upgrade has an all-wheel drive option. The Journey is assembled in Mexico and sold globally under various names. In crash testing, the Dodge Journey has received a positive reputation for safety with high marks from both the North American Highway Traffic Safety Administration and the Insurance Institute for Highway Safety. The 2009 and 2010 Dodge Journey models are known for premature brake wear, requiring brake pad replacement more often than might be expected. Journey otherwise enjoys a good reputation for reliability and longevity. Competition for the Journey includes the Kia Sorento, the Jeep Patriot, and other midsize crossovers. The Journey competes well against these and, with the exception of the Sorento, is one of the few held in high esteem for its reliability. Shoppers looking at the Dodge Journey may also consider the Dodge Grand Caravan or Chrysler Town & Country minivans as options. What Dodge Journey model year and mileage can you get for your budget? The Dodge Journey fits a niche segment of buyers who don't want to be seen in a minivan but want all of the amenities a minivan has to offer. The 2018 Journey is basically a minivan without the sliding doors and a more crossover-SUV look. It's a great vehicle choice as it checks all of the minivan boxes without actually being one. The downsides to the 2018 Dodge Journey are many, almost entirely due to its age. The Journey is now 9 years old and hasn't seen a significant update or redesign in all that time. This means it's missing some technologies and items we're used to seeing in more modern vehicles, such as advanced safety features, better fuel economy, smarter powertrain designs, and smart infotainment and entertainment options. For the growing family in need of a budget-ready people mover with smart everyday capability, it's hard to look past the 2018 Journey. Its well designed, safe and excellent in its coverage of the basics. The 2018 Dodge Journey is a three-row midsize crossover-SUV with seating for up to seven. The Journey has two engine options, front-wheel or all-wheel drive, and four trim levels. People who need the spacious capability of a minivan but want to avoid its stigma are immediately attracted to the Journey. This crossover features the availability of all-wheel drive and the ride height of an SUV, but contains the 3-row spaciousness and wide-opening doors of a minivan family hauler. For 2017 not much has changed with the Dodge Journey, which is now long overdue for a redesign. Refreshed in 2011, the Journey has largely been the same since its introduction two years before that. In automotive terms, that makes the 2017 Journey quite old. In reality the only downsides for that age are its somewhat dated exterior look. The Journey is otherwise as good or better than most other options on the market. For growing families that need plenty of seating to haul the soccer team and band members around, the 2017 Dodge Journey is a great choice. The Journey is budget-friendly, well-designed and very safe. The 2016 Dodge Journey is a bit of a holdover from a simpler time. Fitting somewhere between the Durango SUV and the now-defunct small SUVs Dodge used to produce, the Journey is half minivan, half crossover with a dash of station wagon. This might sound like a Frankenstein of a vehicle, but it's got a lot going for it. Chief among those high points is the extremely family-friendly nature of the Journey. That minivan/station wagon mix means that interior space is plentiful, seating is roomy, and storage and daily use ergonomics are superb. The crossover DNA means that the Journey is a bit more stable and capable when the weather outside turns frightful. For the 2016 model year, the Journey celebrates 7 years in its first generation and carries a thorough refresh done in 2011. Most of this relative old age shows in the Journey's exterior design, which is a bit dated, but the interior of this crossover is the most excellent you'll find at this price point. In short, while the 2016 Dodge Journey has its issues, it's definitely a contender for many in the three-row crossover segment where rivals are relatively few when budgets are paramount. Among the lowest-priced midsize crossover SUVs in the segment, the 2013 Dodge Journey can seat five or seven passengers, is one of the only vehicles to offer built-in child booster seats, is available in a number of different models and has numerous entertainment options to keep the kids occupied and entertained when on the road. Key competitors include the Chevrolet Traverse, Ford Explorer, Kia Sorento and Toyota Highlander, but the Dodge Journey is generally less expensive than all of them.